Today we have four contests to draw the winners for! I know I'm a few days late with this drawing and I thank you for your patience. Out of 745 entries, the winner of the Constructive Playthings Dinosaur Park Play Set contest is . . .
Out of 817 entries, the winner of the Cafe Press contest is . 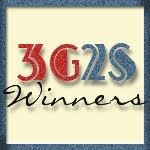 . .
Out of 395 entries, the winner of the Executive Gift Shoppe contest is . . .
Out of 341 entries, the winner of the Glade Sense & Spray contest is . . .
Congratulations to our winners! Official email notifications will be going out right away. Please respond within 48 hours to claim your prizes. Remember that I always respond to let you know that I have received your information. Have a great weekend everybody! !